THE BOSS JUST DID 2500 MILES ON THE KYLE PETTY CHARITY RIDE ACROSS AMERICA!!! WE RIDE WHAT WE SELL!!! Hand built by Joe Martin One-off sheet metal Martin Bros custom pipes 26" front and 18" rear Pickard wheels Air ride suspension. Donor parts for this build are from a 2009 Harley-Davidson Road Glide. Hello, I'm interested in your 2014 Road Glide® Custom. Hello, I'm interested in making an offer on your 2014 Road Glide® Custom. Hello, I'm interested in trading in my bike for your 2014 Road Glide® Custom. 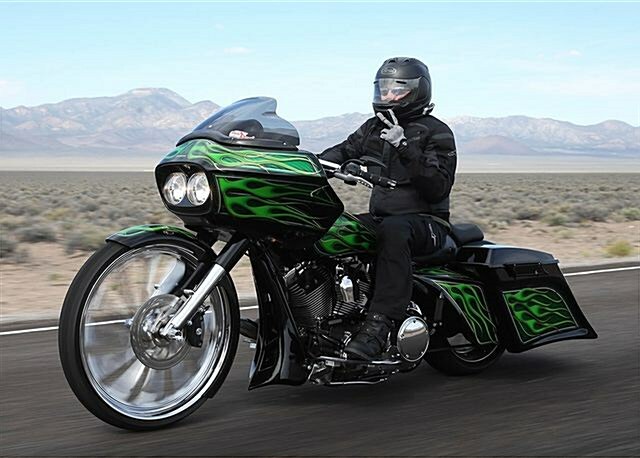 Hello, I'm interested in taking your 2014 Road Glide® Custom for a test ride.